A dual biography of two iconic leaders: how they fought a bloody, brutal war, and then forged a lasting peace that fundamentally changed our nation. They met in person only four times, yet these two men determined the outcome of the Civil War and cast competing styles for the reunited nation. 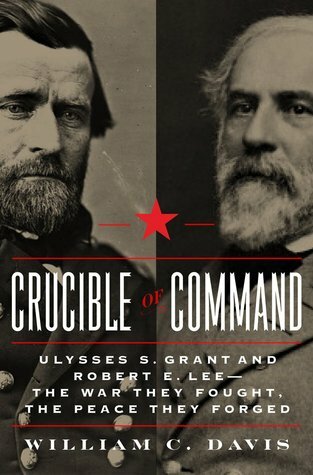 Each the subject of innumerable biographies, Generals Ulysses S. Grant and Robert E. Lee have never before been paired as they are here. Exploring their personalities, their character, and their ethical, moral, political, and military worlds, William C. Davis finds surprising similarities between the two men as well as new perspectives on how their lives prepared them for the war they fought and influenced how they fought it. Davis reveals Lee's sense of failure before the war, Grant's optimism during the disaster, and the sophisticated social and political instincts that each had when waging a war between democracies.